This is a day spa located at Pompano Beach Club in Southampton Bermuda. It was established in 2004 and was earlier known as The Serenity Spa. The spa has been recently shifted to the ocean front and on the first floor of the club house. Two of the three treatment rooms face the water and has dramatic views of the ocean. One of these two are meant for couples and equipped with shower and a deep water jet bath tub. There is a separate manicure & pedicure room, and also a waiting lounge. The spa offers a wide range of treatments including facials, massage therapies, body treatments, scrubs & wraps, baths, waxing and several special packages with varied combination of the treatments. Here are some of the key offerings from the Three Graces Day Spa. All the massages include essential oils with herbal extracts. You can choose from a selection of various body oils like Rose, Lavender, Rosemary, Geranium, Ylang Ylang and Eucalyptus. Offerings include Harmony Massage/Swedish Massage, Deep Tissue Massage, Hot-Stone Massage, Indian Head Massage, Back, Neck and Shoulders Stress Massage, Chocolate Aroma Massage (uses scent of chocolate), Foot Reflexology (massage on feet pressure points), Couple's Massage. There is also a massage for the Golfers called Golfers Delight that releases muscle tension, stress and toxins. Heat packs are applied and then combination of massage techniques and stretches are used. Body Pure: Starts with exfoliation to eliminate toxins. This is followed by deep cleansing of body mask and a Swedish massage. Serenity Wrapsody: This includes hydrating body wrap with chamomile and mint and is followed by back massage to help relieve stressed muscles. Citrus Salt-Glow: Includes a massage with grapefruit scrub and essential oils, full body exfoliation and a stress relieving back massage. Calming Rose and Whipped Milk Bath: This is a hydrating milk bath with Chamomile Rose essential oils. Great for soothing and recovering sun burnt skin. Essential Bath: Vapors from essential oils and mineral elements used in the bath to enable great relaxation. Myoxy Caviar and Pearl Facial: Offered for both men and women. Includes cleansing with caviar and pearl. This is followed by use of Masks. Results in rejuvenated smoother skin. Luminous 'C' Facial: Uses blend of vitamin 'C'. It reduces fine lines and repairs sun-damaged skin. Plantomer Facial: This is a cool hydrating mask treatment for healthy and excellent glow of the skin. Skin Fit for Men: A deep-cleansing and hydrating facial for men. This is followed by a hand and neck massage. Beauty in Balance Facial: Includes deep cleansing and exfoliation. 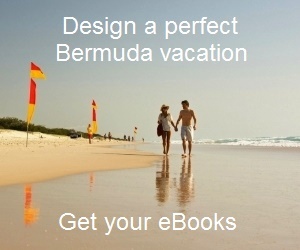 Check Pompano Beach Club to know all about this great accommodation in Bermuda. 1) Bermuda Spas: Know about all the great Spas in Bermuda.